A million years ago when my kids were still in high school I didn’t know squat about the internet. Today my daughter Nicole reminded me that I once gave her an assignment to do a report totally from the internet on Porcupines to prove that the internet was really useful. Of course she blew me off and I never got the report. However, since then I’ve gotten 5 or 6 different jobs and started a blog and joined Facebook and Twitter and have become a social media junkie, all using the Internet like a madman. “Okay Nicole, the internet is useful”. TORONTO, July 17 (Xinhua) -- The Toronto 2015 Pan American/Parapan Am Games' new mascot, a colorful and prickly porcupine designed by four young Chinese and Japanese students, was unveiled Wednesday in the Canadian city of Toronto. 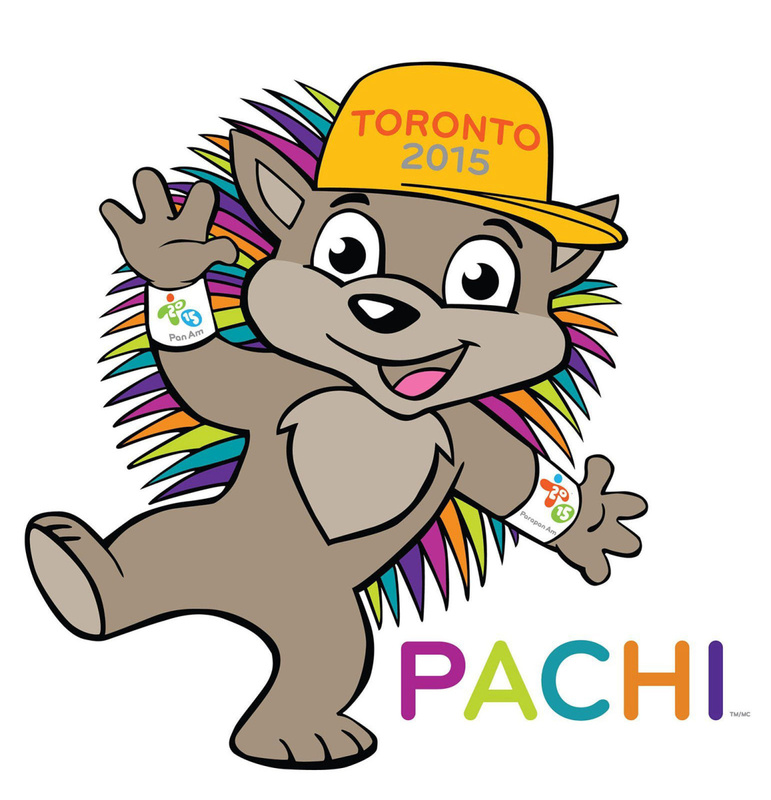 Pachi the porcupine, who made his public debut in front of over a thousand children at the unveiling, was the final winner chosen out of a slew of mascots sent in by young designers across the country to represent the Pan Am Games, the world's third largest international multi-sport Games. I don’t know why but, people all over the world love Porcupines (pronounced Porkypines) I like their funny name and strangely they make me hungry but, other than that I think they are just rats with spikes. 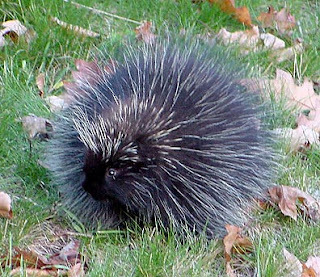 Wikipedia says: Porcupines are rodents with a coat of sharp spines, or quills. See, I told you so. Porkypines eat salads and climb trees to find food. (Don’t we all?). Here’s the most interesting fact about Porkypines that nobody knows. This may change your perception of the lovable rodent so read with caution: Wikipedia: A male porcupine urinates on a female porcupine prior to mating, spraying the urine at high velocity. Yeah, you asked for it. Take that! I can hear you all going eeewww gross! Don’t you just want to hug one now. My favorite Porkypine factoid is, Wikipedia: Porcupines have become a pest in Kenya and are eaten as a delicacy. Yeah, I knew it! Porkypine stew, uummm uumm good. Wait, does that mean I have Kenyan blood in me? Cool! I’m sure some of you knew this one, Wikipedia: A regional American name for the animal is quill pig. Duh! It has quills and smells like a pig. Duh! So Nicole, there you are. I just proved that if you want something done right you have to do it yourself. Maybe if this blog takes off I can come to Boston and take you out for a Red Sox game and a Porkypine burger. That would be nice. WARNING: Imitating Porkypine mating rituals can be rude and hazardous to your social standing. 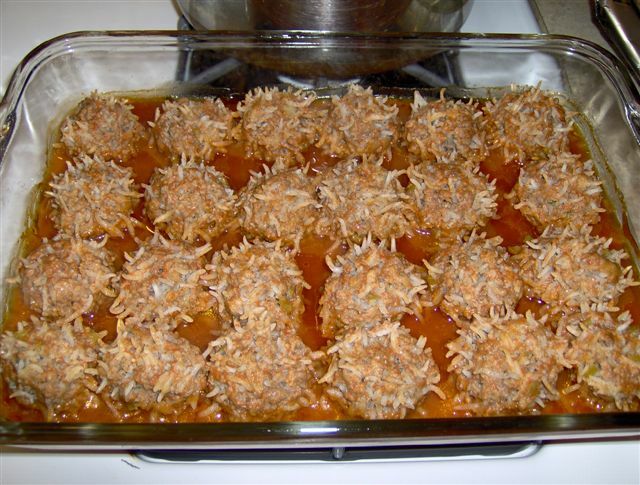 Looking for a porcupine meatball recipe? 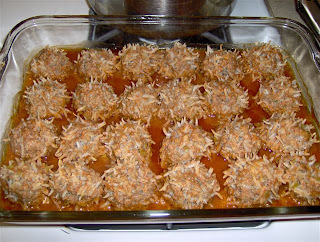 These baked porcupines are meatballs in a simple tomato sauce is a great choice. I hope Nicole reads this. Nicole liked it and showed it to her friends. I am glad you found the interwebs and are actually blogging on these important topics haha! You have a point. (get it, point) I guess bread and water is a delicacy if you're starving. I'm very glad to use the interwebs to help mankind. I'm a giver. Hilarious Tim. I miss your sense of humor. Thank you so much. I have decided to lighten up and let my anger go and I feel much better. Bwahahahahahahaha. Everything you wanted to know about porcupines but were afraid to ask. I didn't know about the mating ritual though. Gross is an understatement unless you're into that kind of thing. Yeah, I wouldn't say they make great pets. LOL you do make me laugh that's all I'm saying haha! I once said in the White House in Washington D.C. "mmm, meatballs" while lifting the lid of an antique serving tray. Someone in the basement spent a week trying to decypher the message. I saw an NSA report years later that concluded the messenger was mentally challenged. Now I work for them. Have a meatball on me. Heeheehee! There's a book out there called How Do You Spank a Porcupine? and it's about a family that raised one from a baby when the dad of the family accidentally killed mama porcupine. Yes, i've made meatballs like that, they are good. 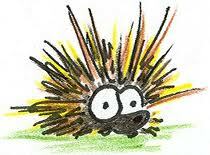 No porcupines need to be injured in the making of them, but don't ask about the health of the cow. Let me know when to show for a Porkypine meatball dinner. Mmm, mmm. I must read that book. Porkypines were occasionally encountered on the way to the outhouse. Since time was of the essence here a good solution was considered a shotgun. Thank heavens for modern blue plastic convinces now days. Yes, I'm sure the Port-a-Potty will go down in history as one of man's greatest achievements. Who knows how many Porkypine lives it has saved. Glad you enjoyed my silly story. Ha, ha! Interesting and funny point. I'm sure Nicole knows you're relevant now. Thanks. You made me smile when I was sad. Happy to cheer you up. 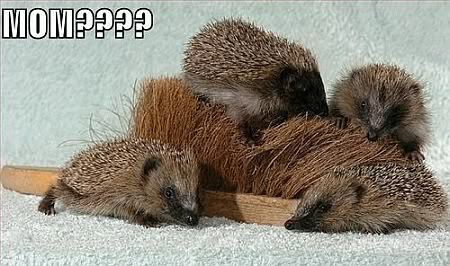 Very interesting and amusing facts about porcupines. Thanks for all that internet research. We have to get together for some Porkypine meatballs sometime. I would love to try some mini Porkypine meatballs. The stuff I'm making up is true. People in Kenya eat porcupines. Interesting fact now added to my ever growing list of 'random useless information' (as my kids call it). Thanks for sharing at Words on Wednesday. Happy to help educate you.